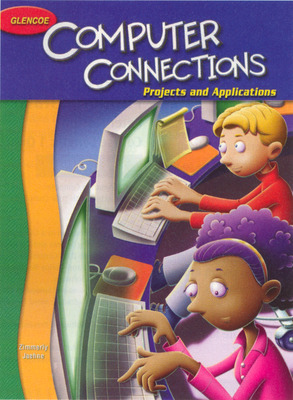 Computer Connections is designed to teach in a fun format. The text introduces computer ethics, usage, safety, and etiquette. Students will enjoy writing poems and short stories, researching the Internet for a science fair report, creating a Web page about the solar system, preparing a presentation about rain forests, creating a spreadsheet for a personal budget, and preparing a database to organize information about presidents of the United States. The capstone project reinforces computer application skills as students run a pet sitting business. Works with Windows and Mac operating systems.